Was curious what FA's were out there and didn't see a thread. If there is, Mods please merge. Some interesting names out ther that could help us. Apparently Long has been cut by the Jets after an awful season. Do we bring him back in? Vet minimum - nothing more. Bring him to camp and let him compete. No way I'd bank on him being the solution at LG. There's a reason the Jets let him go 1 year into a long term deal. Oh absolutely no doubt he stunk it out there, but he was always League Average for us. The Jets made the mistake in thinking there was more to be had. I'd do the Patriots thing here and welcome him back all the while pocketing the extra pick. I just don't think you can overlook a guy who is better in your system. Yes, he was better here, but are we keeping the same system? And can he stay healthy? Sick of bringing injury prone OL in all the time. If we brought him in I'd be as much interested in his playing center as guard, maybe more so. He played much better in that spot than at guard and I thought he upgraded the interior when Lichtensteiger went out and he took over. I prefer Long playing center, but he's a swing interior OL that can play center or guard, and as bad as our injury luck is, I don't think we can have too many of those kinds of players. And he demonstrated to us that when he does come in he hits the ground running. So I'd still bring him in and see if there is a role for him here. Longs broken hand this last year was the root of his dismissal as well as his contract. The Jets want him back, but at a lower rate. Long serves no purpose here any longer. He was terrible at Guard and we have an experienced rookie Center under a rookie contract playing for us at a pretty darn high (and durable level). We'd be crazy to change that now. We need to Draft a STARTING LG and find some depth in the later rounds of the Draft. Don't even think about White at WR. Our goal should be players that don't go on IR annually. Lots of NFL teams checked in with Spencer Long after the Jets released the G/C yesterday. The Redskins not among them, per source, despite history with the player and the interior OL need. Here is my nightmare, Ali. This offseason, we sign a guy drafted in the 3rd round who is injury prone (Long) and average at best to replace a guy drafted in the 3rd round who is injury prone (Lauvao) and average at best, thus perpetuating the cycle of madness and 'meh' to miserable play at LG. So I take a hard pass. But that's just me. I want new and Studly blood inserted into the problematic LG spot. He doesn't have to be Russ Grimm, but you get my point (particularly as Trent begins to slow - due to increasing age and injuries - on the LG's flank). You can relax Big, of those enquiring about Long the Redskins were apparently not one of them. What do people think of bringing in Tyrod Taylor at the right price for a bridge QB? I've read talk of both the Rams and Vikings having an interest in Long, but I don't know if that's speculation based on his connections with both clubs. Nope, unless it was as back up to Kyler Murray and we were cutting McCoy as part of a complete overhaul on offense. I would do that for the right price. I would even bring him in and cut Colt and sign Johnson as our back-up. Their skill sets are similar and the game plan would not have to change much if Taylor were to get injured. The two QB's could fight it out to be the starter. The Eagles are trying to Tag and Trade Foles. This is illegal according to the CBa. Mara needs to get on this. The Eagles are violating the Spirit of the salary Cap and Franchise tag. They need to be told a day before free agency they are losing 25 million off the cap and the night before the draft told they are losing their first round pick lol. They can say their is precedence in the Redskins and Cowboys Penalties. Yup, need to find more Roulliers for our OL. PC: This is probably a really dumb question but what if the Redskins traded AS to a team like the Browns and gave them a 2nd or 3rd rounder. The Browns have a massive amount of cap space and can take a cap hit by cutting him prior to early March and this would be a non-cash hit. They would pick up a 2nd or 3rd rounder and i believe our cap hit would only be about $20 million. Do you think another team loaded with cap would consider this? good point but that may only be for a team's protection as not to sign an injured player. This would purely be a cap dump. Just find out who Sashi Brown works for now? Sounds like the Osweiler situation between Houston and Cleveland. I doubt a team would do it for an injured player with such a huge contract, but to answer your question - yes - that can happen. Ignoring the injury issue for a moment, if you were looking for a potential suitor in this scenario, Denver may be the best destination here, given Keenum has only 1 year left on his deal and has been uninspiring to say the least, they have nothing waiting in the wings, the Broncos were interested in Smith last January, and they have nearly $40m in cap space. They could afford to wait on the injury for 12 months and cop the $15m base salary. The problem is that the unknown extent of his injury and possible recovery time (if he plays again at all) and his age would be major factors and would offset any sweetening of the deal via a draft pick. Bills have signed free agent OL Spencer Long to a three-year deal. The Elephants Graveyard for all ex-Redskins. Even Zo went through the Bills org. This Free Agent off season is a "Buyer Beware" Market, just slightly more so than previous years. There's a lot of 'names' hitting it; Thomas, Griffin.... as teams part ways with players who aren't living up to their contracts, or at the end of their careers. 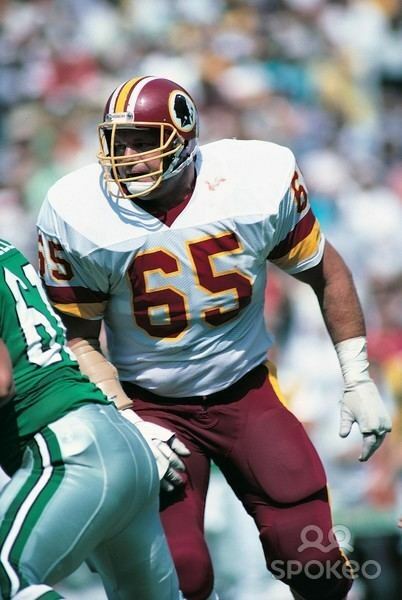 The Redskins need to pick up a couple players, they also need to be wise about who. There's some shiny stuff out there on the market and the Redskins need to find some horsepower for that offense. Guys like Crowder, Thomas, Doctson, Reed just are not dependable and the offense sputters when they are out which is often. And then there's the QB topic.... if the Redskins go into this season with a temp fix, it will get real ugly fast. QB is where it gets scary as the Redskins have blown up drafts and Caps to find fixes... I see this as rumblings under a volcano, hopefully they don't explode. Guice is a question mark, and he was the guy I picked on draft day for them because I thought he was very under rated. But knee injuries and RB's just don't make me feel comfortable at all until I see them play a full season. Terry Allen was a andriod.. drove me nuts as every time I saw him get the ball I couldn't watch.. and I missed a lot of great plays. What a guy. It won't be long till the flood gates open and there's a lot of mistakes that happen. Some team is going to trade for A. Brown - I love the guy, he was awesome but this past season his ego went into overdrive and he is ahead case waiting to happen. Some team is going to break the bank for Bell.... See above... and he might have ignited Brown's ego. And of course some team probably will trade crazy in the draft.. I'm hoping the name "Redskins" or "Washington" isn't listed as the team that did any of that.